Heal Steel is a locally owned and operated manufacturing business foundered by Steve Healey. 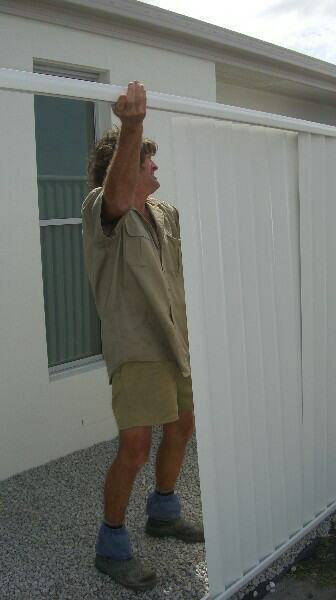 Steve has over a decade of fencing experience here and in central New South Wales, and recognized the void of locally manufactured building products as soon as his travels brought him here to the Sunshine Coast. Since then he has teamed up with BlueScope Steel, Selection Steel and local building experts to add onto his rollforming mill business, to offer South-East Queenslanders a new and cost effective alternative to dealing with the major market players in this industry. Make no mistake, while Heal Steel is a new name in the steel arena, it firmly intends to continue growing without sacrificing on quality of product, services or systems. With a focus on minimal overheads for maximum cost saving to clients you can be guaranteed that using us for your building material needs will pay your business dividends. Welcome to one of the last "old school business-model" manufacturers around. Please take the time to have a look around our website and give us a call or drop an email with any questions or thoughts you may have. © Copyright 2017 Heal Steel.